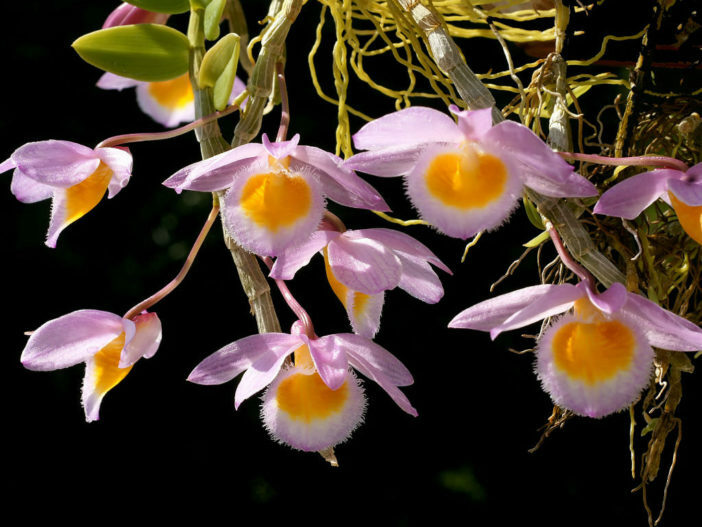 Dendrobium loddigesii is a small sized, warm to cold growing epiphyte, lithophyte or terrestrial orchid with tufted, pendant, subterete, striated, several-noded, white-sheathed stems carrying alternate, fleshy, oblong, acute leaves. The long-lasting, fragrant flowers are found from winter to spring on short up to 3 inches [7.5 cm], single flowered inflorescence that arise from the nodes of leafless canes. 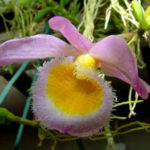 The flower size is up to 2 inches (5 cm) across. 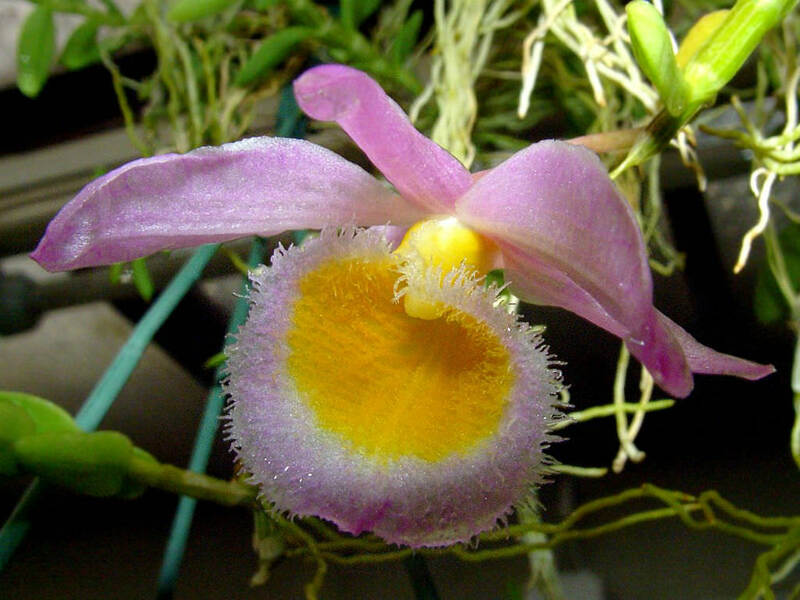 The petals are lilac in color, the sepals are purple, and the lips are reddish orange. USDA hardiness zone 11a to 12b: from 40 °F (+4.4 °C) to 60 °F (15.6 °C). 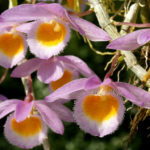 Although there is a huge variety from which to choose, when it comes to learning how to grow Dendrobium orchids, there are two important rules that they all follow. First, they like to live in little pots with their roots crowded into a tiny area. If you try to be nice and give them room to spread out, the roots are likely to stay too moist and begin to rot. If you don’t like the look of a large plant growing in a ridiculously small pot, camouflage it in a larger planter. 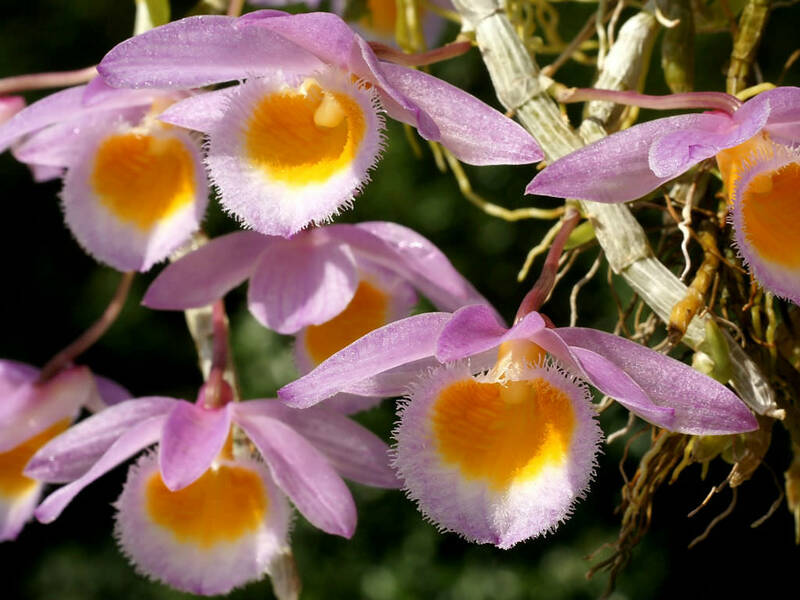 The other way to care for Dendrobium orchids is to give them as much bright light as possible. This doesn’t mean sticking them in the desert sunlight, but a south-facing window in the house is the place where they will thrive. 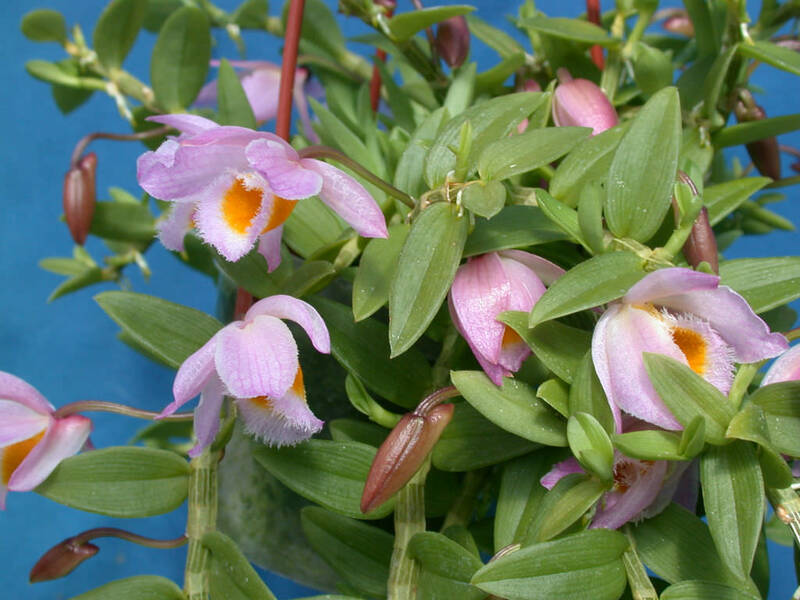 In almost all cases, when your Dendrobium orchid isn’t flowering, it’s a case of not enough sunlight… – See more at: How to Grow and Care for Dendrobium Orchids. 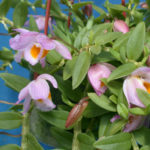 Native to Laos, Vietnam, and China.